I’m selling my van Toyota TownAce 1994, which is now 290,500 kms. - Petrol (so no diesel tax to pay). - WOF until 24 January 2015. 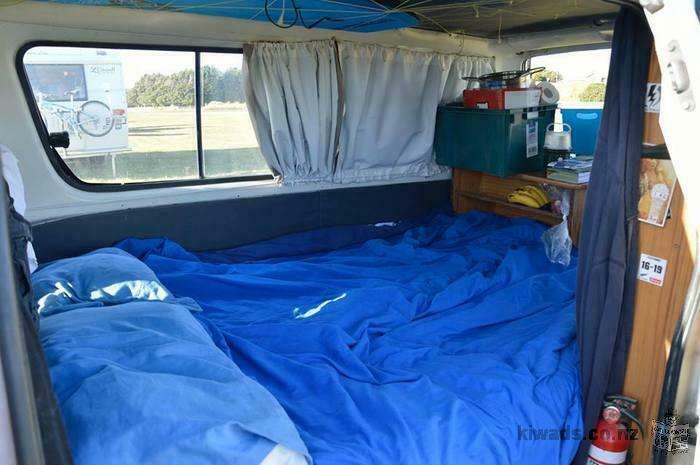 Concerning the construction, it’s a single bed convertible into real double bed with storage underneath, handy little cupboard for storage, convertible in a table, 2-burner stove. That's the main thing, other small accessories to discover. Available now in Palmerston North.